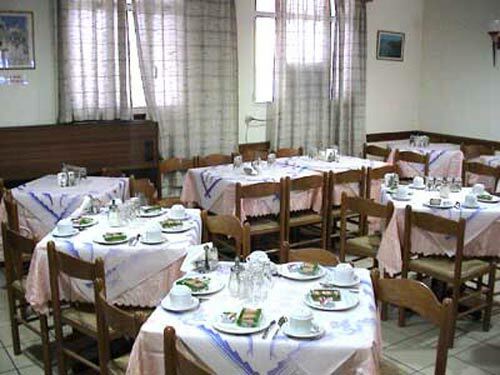 Aristoteles hotel can be found at the trade center of Athens, 200m from Omonia Metro Station and very close to the International Railway Station. It is situated 800m from Syntagma Sq. By car it is an approximately 40 min. away of International Airport EL. VENIZELOS, and 15 min from Pireas Port by electrical railway (Omonia). The hotel co-operates with Greece's and abroad's largest tour operators. The hotel possesses welcome rooms which provide A/C, TV, phone and private facilities (bath or shower), all for the complete satisfaction of the customers. The bar and the restaurant at the ground floor, are places where you can enjoy your drink or meal. For breakfast, the dining room is open from 07:00 to 10:00, while it's open the whole day for you to enjoy a typical Greek meal. Είστε ιδιοκτήτης ή διευθυντής στο ARISTOTELES HOTEL; Εγγραφείτε τώρα για δωρεάν εργαλεία, που μπορείτε να χρησιμοποιήσετε για να βελτιώσετε την καταχώρησή σας και να συνδέσετε την ιστοσελίδα σας και το σύστημα κρατήσεών σας.